Over last couple of years or so, number of companies across the globe have entered wearable fitness arena. Large corporations as well as small startups have launched their fitness bands claiming one USP or another. While some are extremely cheap, others have extra bells and whistles added to their wearable band / app to make it an attractive proposition. However, one thing remains common across all of them – once a user purchases the device, they are on their own. For few who are self motivated and disciplined, these fitness bands work quite well. However, for majority of people who have bought these fitness bands in hope of monitoring and improving their health, it has not been such a great success. Their interest has worn off after initial enthusiasm. Goqii, an Indian startup who launched their fitness band earlier in this year seem to have understood this problem. Rather than focusing on the band itself, they have focused on bringing a real fitness coach into the mix, while the band being just a channel to monitor user’s activity and communicate with the coach. Goqii has been my constant companion for close to 2 months now and I have to say that it has undoubtedly helped me in bringing positive changes in my lifestyle. And it is not the Goqii band that has done it – it is the coach who untiringly pushed me into making those positive changes. Let me first tell you how Goqii works. 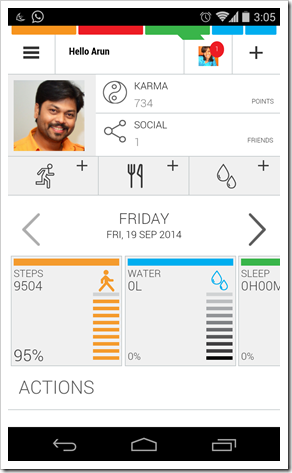 The user needs to wear the Goqii band (preferably in their non-active) on their non-dominant hand through the day. Along with it, they need to download Goqii app from either Google Play store (for Android) or iOS app for iPhones. The app syncs with Goqii band on frequent basis (manually or automatically) via low energy bluetooth connectivity. All you activity through the day is then registered by Goqii band and when you sync, all that activity gets stored in the app. The activity is shown in form of the number of steps. Step count considers every activity you do as it has a sensor that intelligently monitors the movements and accordingly registers the steps. The number of steps that get registered may be debatable, because I found that the count is generally higher compared to activity you do. Just a hand movement and additional steps may get registered. Discounting that factor, the band works pretty well. Apart from the step count, the Goqii band (or the core) uses something called as actigraphy, a method in which it monitors human rest and activity cycles to examine your sleep quality. But the biggest part of my Goqii experience is the Goqii coach, who constantly nudges you towards your goals. The positive changes would not have been possible without them. Through the app a Goqii user can chat with the coach, get tips, ask questions and basically converse anything related to health. Infact, they will also remind you about what you need to do to bring about a positive change in your lifestyle. 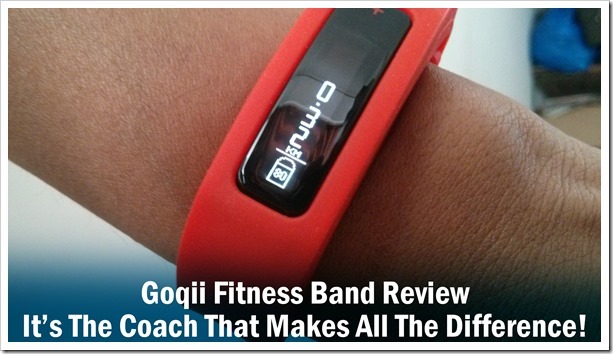 In my view, coach is the differentiating factor that puts Goqii ahead of other fitness band offerings. Goqii service is new and hence like any other startup they do have some teething problems as well, especially with their app. I have found that app on Android definitely has room for improvement from UX as well as functionality point of view. For me it has been a constant struggle with syncing of data and connecting Goqii band with app. 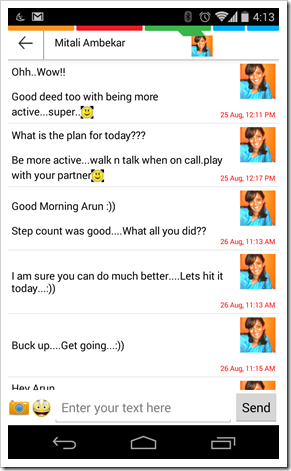 While the Goqii support has been quite responsive throughout, they do need to come up with better version of the app. If you want to have a healthy lifestyle and if you are not self-motivated or disciplined, Goqii is sure to make world of difference to you. The Goqii not only sets in direction of a healthy lifestyle, but also lets you do good for the society through their Karma point offerings, which could be donated to different causes that are listed. Keep in mind, unlike others, Goqii is not one-time-bought-device. It is a service that is offered at moderate cost of Rs. 6999 for 6 months. If you are struggling with your fitness, Goqii might be the answer! Hello Arun Sir, What if I don’t want to purchase additional services after six months. Will that band work without app or is there some other alternative app that can be synced with this fitness band. I would also love to know, is there some scope of making my own app that can work with this hardware. (Being a developer that can help me a lot). Have had the tracker for around 3 weeks now. Have not been able to put it in the sleep mode even once as the touch screen is buggy. Despite having sent umpteen messages and feedback, there has been help. One time a tech support guy rang up, but nothing happened after that. Problem stands. 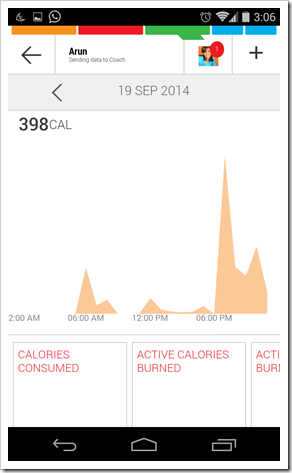 Over and above, after the Android 5 update the app now is showing incorrect step count. There has simply been not a single acknowledgement to my messages. I am now desperate.